When it comes to formal screening and monitoring, parent and caregiver input is especially important. It leads to more accurate results and improves the chances that concerns and delays are addressed early, when it can make the greatest difference in a child’s life. However, do you ever find it challenging to engage parents in the process? Many times, when parents are disengaged it’s because they are simply unaware of the purpose behind screening and the positive impact it can have on their family. It’s the professional’s job to help parents become comfortable with the idea of screening and to alleviate any concerns. Before you introduce Ages & Stages Questionnaires®, make sure parents understand three things: what screening is, why it’s important, and what the benefits are. It’s not just what you say, but how you say it. Get families on board with screening while easing their concerns. Follow these helpful tips. 1. What is developmental screening? 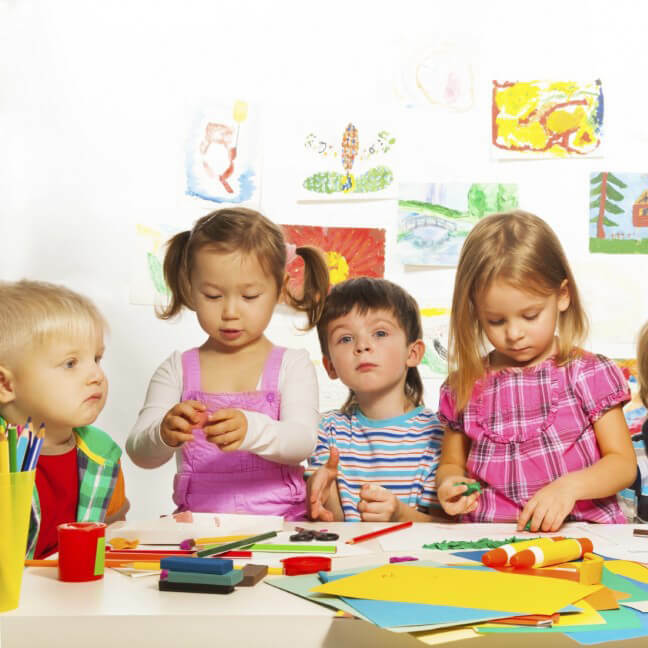 Developmental milestones are abilities achieved by most children by a certain age. Developmental screening provides a quick check of your child’s development. It can be thought of a snapshot of your child’s motor, cognitive, language, and social-emotional skills. Screening will help determine if your child is meeting the appropriate milestones for their age. More info: Get additional facts about screening from this tip sheet and on agesandstages.com. It’s estimated that 1 in 7 children are affected by developmental delays, learning disorders, and behavioral and social-emotional problems. Only a fraction of these children (20% to 30%) are identified as needing help before school begins. By participating in a developmental screening program, parents can check their child’s development and address any potential concerns. Intervention before kindergarten has huge benefits because it sets children up for future success! Studies have shown that children who receive early treatment for developmental delays are more likely to graduate from high school, hold jobs, live independently, and avoid teen pregnancy, delinquency, and violent crime. More info: See why screening matters and read about the need for ASQ® on pages 11–14 of the ASQ®-3 User’s Guide. 3. What are the benefits of screening? Studies show that parents’ observations of their children are excellent predictors of developmental delays. Share this fact with parents and talk to them about the additional ways participating in screening can help their child. Here are some points you can make to parents during conversation or in printed materials that you distribute before screening. Your answers will show your child’s strengths, and highlight any areas in which your child may need more help or practice. And if additional practice is needed, I can share some fun and easy activities that you and your child can do at home. Your answers will help me get to know your child better and how I can support in the classroom. This may include modifying certain classroom activities. Your answers will be helpful in determining whether your child needs further support or assessment. It’s best to share concerns early when your child can reap the benefits of early intervention, rather than waiting until your child starts school. And even if a concern is a typical variation in development, it’s better to raise concerns with a professional so you can be sure. More info: Learn about the benefits of parental involvement in screening and why it’s important for programs to put their trust in parents. In addition to ensuring parents are versed on the importance and benefits of developmental screening, you can further prepare them for the process by helping them understand the concept of milestones. The CDC’s Milestones in Action library provides parents with photo and video examples of important developmental milestones. ZERO TO THREE has a set of 9 age-based handouts that include a “what to expect” chart for each age range, frequently asked questions, a research summary, and information about common parenting challenges for each age and stage.